Hi everyone…D23, the Official Community for Disney Fans, celebrated its first anniversary in style this week at Disneyland Park, as more than 1,500 D23 Members and their guests took over Fantasyland for an after-hours blow out with classic attractions, beloved characters, scrumptious desserts, and some very special guests! 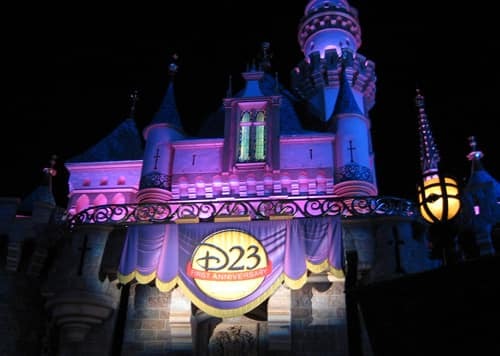 After Disneyland theme park closed to guests on Wednesday night, D23 Members were welcomed into the happiest land of all with a burst of pyrotechnics from Sleeping Beauty Castle. From there, guests—who had traveled from 25 different states as well as from places like New Zealand and Japan to be at the event—crossed the drawbridge to enjoy the event. As part of the festivities, D23 announced the next D23 Expo, which will be in Anaheim in 2011, as well as a new D23 Member event—Destination D: Disneyland ’55, which will take place at Disneyland Park in September of this year, and will celebrate the rich legacy of Walt’s original theme park. For more information about D23, Destination D, and the D23 Expo 2011, visit Disney.com/D23. Did anyone get pins from that event they want to trade or sell? Who made the cupcakes?!?! 😀 So cute! I bet they were delish! It was a great party!!! There was so much to do and see. Getting to meet Tony Baxter and Bob Gurr was amazing. I flew in from Michigan for this event and it was WONDERFUL!!! My favorite memory of the evening was meeting original mouseketeer Bobby Burgess while waiting to go in to Captain Eo. He is SO NICE! I would have loved to ask many questions, but of course my brain checked out or as my young cousin put it..’I have never seen you so giddy’ Thanks D23 for a fabulous evening! We flew in from Denver just for the occasion! It was a fantastic night. Thanks for the magic. I was there, it was amazing, and I’m so there for Destination D and the next Expo! I was there! Seeing KATHERYN BEUMONT. Be still my heart! and other Disney character voices! Hobnobbing with character voices and disney imagineers not to mention the voice of Luis from princess and the frog ,top imagineers, Disney legends, Talk about photo ops! How often do you see mickey in his band leader uniforms cinderella and her coach, the three little pigs the country bears, not to mention the desserts! Wow! We met Arnett from lost and Marty from Spin and Marty not to mention my Tinkerbell ,Margaret Kerry! AWESOME! CAPTAIN EO WAS EVEN BETTER THAN I REMEMBERED! What about that pin talk about a rockin souvenier for a magical night! For three hours I felt like I was in Disney heaven! I attended all three days of the D23 expo and this was right up there with that! Enjoyed every minute of it with my girlfriend! Loved seeing my boyhood memories come back to life! Seeing Marty brought back memories of the Mickey Mouse club and seeing the voices from the movies past and present, including the voice of Alice and Louis from princess and the frog made my night enjoyable! loved the deserts and the disney characters. D23 ROCKS! that! What about that pin my god talk about a memory to take home! I love D23! I had a blast as did the friends I took. I REALLy enjoyed the music and would LOVE to get a cd of it. Is there any chance of that? Maybe a D23 exclusive? I’m sure we weren’t the only ones. I was at Disneyland last night and had such a great time.The D23 team out did themselves once again.The desserts were really good and there were lots of stations of desserts and drinks so no wait,that was cool.It was also fun to see and take pictures at the different stations with such fun Characters that are rarely out and about at Disneyland if at all. I really enjoyed seeing the different vehicles as well.Loved having the photo pass cast members there as well. But mostly for me seeing,being able to talk to and take a picture with some of the GREAT Imagineers.Thanks again for another great event.You guys ROCK !! Great event! I want to thank the Disneyland Ambassador Team for letting me know where I could get a picture with Maleficent! Awesome! I would have loved to go! Super jealous of everyone that was able to attend! 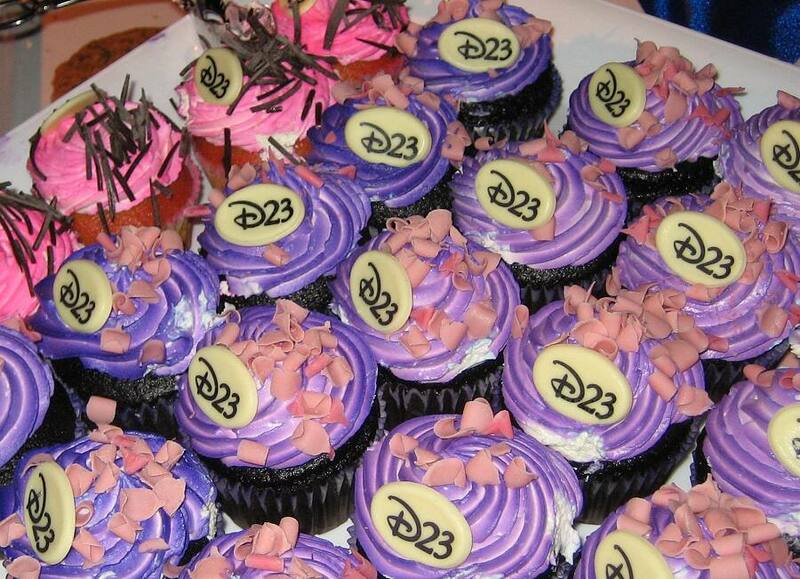 I attended the D23 First Anniversary party at Walt Disney World last Friday (3/5). Why was there no blog post or coverage of that event? At the very least it should have been mentioned in this blog post. Not only did we in WDW have the same dessert party with characters in Fantasyland in MK, but we also attended a presentation by an Imagineer about the new Fantasyland Forest expansion. Why was none of this mentioned? I worked it….. amazing people attended! What? No coverage for the WDW 1st Anniversary party too? The desserts were delicious and it was cool to see so many rare characters around, like the Country Bears, the three little pigs, and Clara Cluck. 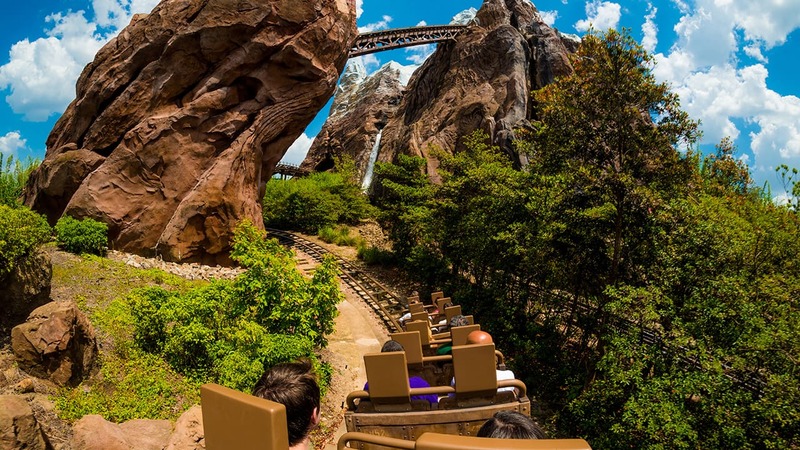 It was also great to get on so many Fantasyland attractions with very little wait. Also, Captain EO was open!